Massachusetts dance artists and teachers Angela Cole and Ellen Oliver began collaborating in 2017 under the name ProviDANCE Project. Their choreographic work uses movement as a medium to bridge together different perspectives as a dynamic duo. Angela and Ellen have performed and choreographed together for the Museum of Fine Arts Boston Sound Bites Series with Jacob Richman and Amorphous Dance Collective, Southern Vermont Dance Festival, 30-30-30 at Dixon Place NYC, Amorphous Dance Collective at the AS220 Modern Movements Festival 2017, Bearnstow Young Artists in Residency Concert, Works in Progress at AS220 in Providence, and OnStage Dance Company Residencies. They have recently performed choreography by New England artists including Ali Kenner Brodsky, Meghan Carmichael, and Cathy Nicoli in Rhode Island and Massachusetts. Additionally, they were 2017 Young Artists in Residence at Bearnstow in Mount Vernon, Maine, and they are 2018 neXt Residency choreographers at Urbanity Dance in Boston, MA. Angela and Ellen are also working with Boston dance artists, including Molly Hess, to co-create 3 Spice Dance, a collaborative platform to produce shows by Bearnstow alumni. Angela and Ellen are 2016 graduates from Roger Williams University and Hampshire College, respectively. Angela Cole and Ellen Oliver continue their passion for sharing dance through their wide age range of students. ProviDANCE Project is a 2018 grant recipient of the New England Dance Fund (with support from Aliad Fund at the Boston Foundation). Angela Cole and Ellen Oliver will create new work under the mentorship of Bebe Miller at Bearnstow, Maine during July 2018. ProviDANCE Project is so grateful and tremendously excited for this incredible support. 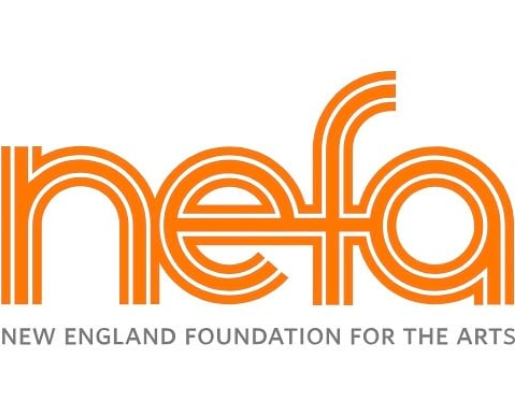 Thank you NEFA! Learn more ProviDANCE Project's work and the New England Dance Fund here. This intermediate-level contemporary dance class is taught by ProviDANCE Project members Angela Cole and Ellen Oliver. The 90 minute class will continue to refine technical skills and build strength while beginning to develop a sense of ease and efficiency in movement. Class will begin with a floor sequence focusing on weight release and core connectivity, gradually finding articulation in footwork and spatial dynamics. We will culminate in phrase work pulling from Providance Project repertoire that explores ways in which specificity and disorientation collide in motion. Following the technique class is an optional choreography workshop that has a twofold purpose: One is to act as a laboratory for participants to develop and receive feedback from fellow peers and ProviDANCE Project members. The second is to develop an informal showing of work that we create collectively or individually in this workshop.